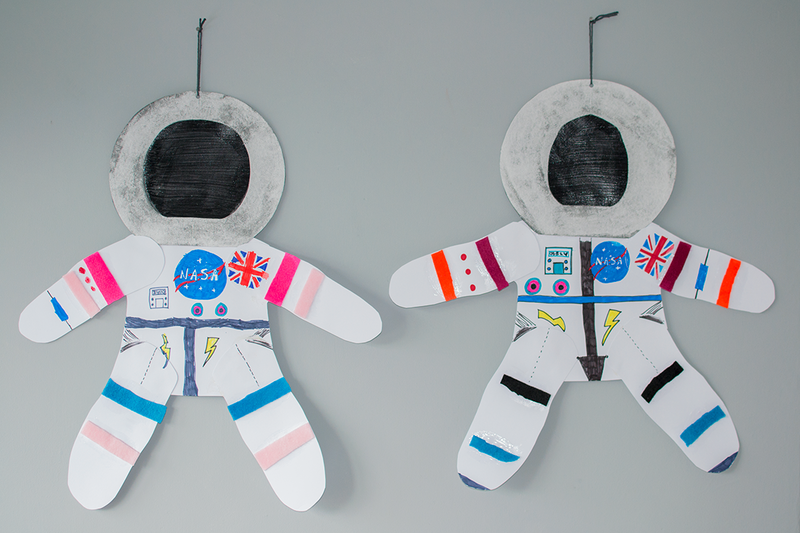 As we are right in the middle of space week I thought it would be fun to do a space themed craft so a few days ago we began work on some cardboard astronauts for the kids to hang on their bedroom wall. 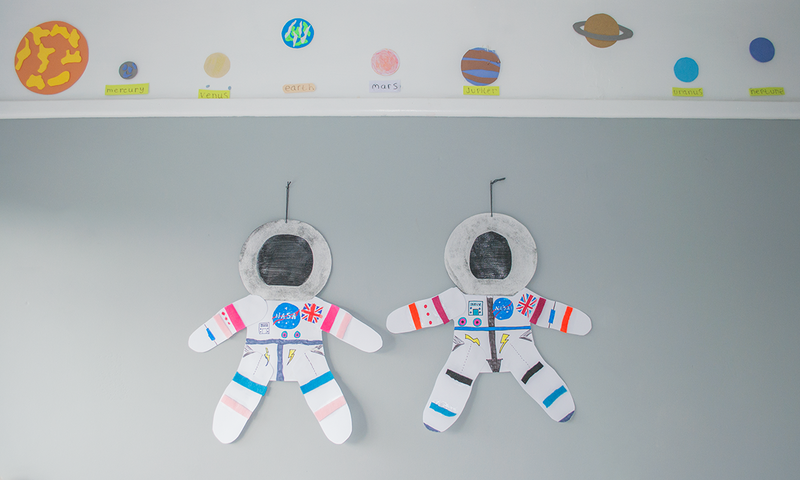 They already have all the planets lined along the top of their bedroom so the astronauts will go perfectly to create a full space scene. Start by cutting a hole in the middle of an Ora kitchen towel then glue it onto a piece of black card. I used Mod Podge and added another layer on top but I’ve heard watered down PVA works in the same way. Leave to dry. When dry cut the excess black card off and the bottom of the kitchen towel off to give you your helmet shape. Cut the body, legs and arms out of white card and glue them on using strong glue or a glue gun, we used a glue gun. Glue some strips of felt onto the arms and legs. 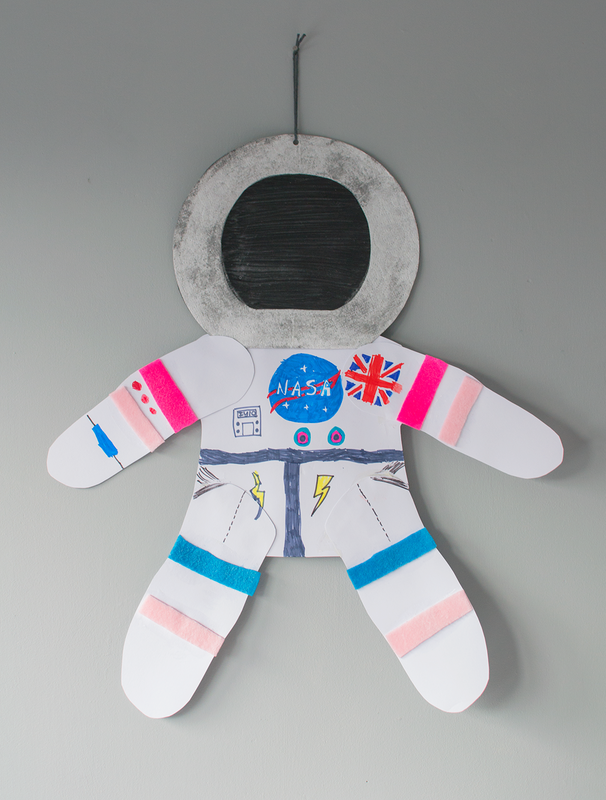 Then draw on all the details, we found a picture of a real astronaut costume to work from but you could just let your kid’s use their imaginations! Make a hole in the top and hang some string through to hang up. Ora kitchen towels work perfectly for this craft because they are round, the fact they are round also serves an important purpose when it comes to it’s role as a kitchen towel. The round design means that it can be packaged differently and therefore doesn’t take up as much room making it a much more eco-friendly choice. You don’t tear it either so it’s much easier to grab a sheet. There is a great tutorial here for creating a space scene too, it would go perfectly with these astronauts. If you buy Ora before the 31st of October then you can take advantage of their on-pack promotion with Penguin Random House Children’s UK. 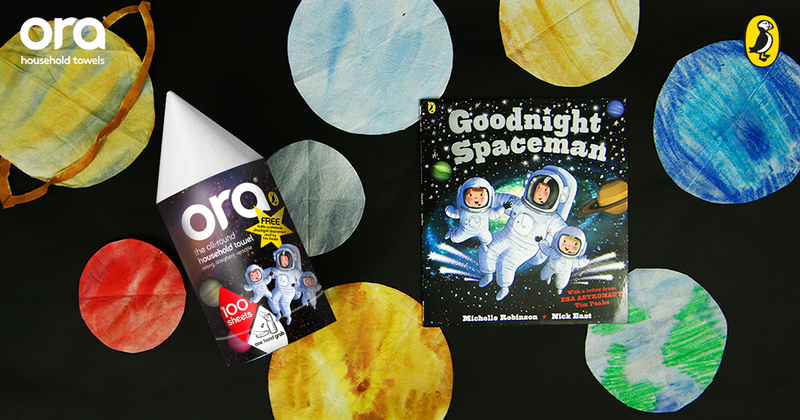 If you buy a pack of the limited edition Ora then you will receive a free audiobook ‘Goodbye Spaceman’, by Michelle Robinson and Nick East and read by the first British ESA astronaut Tim Peake, perfect for any space obsessed children! 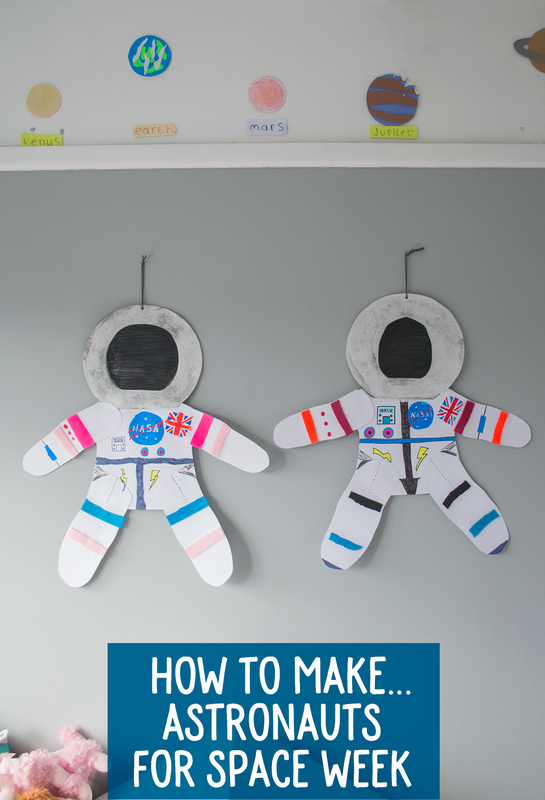 And if you would like to win a space themed goody bag including a hardback copy of ‘Goodnight Spaceman’, some space good and a craft activity then you can fill out the form below. Good Luck! UK only / please use an email you check regularly.